Does your lake have an association that’s improving water quality like Douglas Lake? Do you belong to a land association that is always looking out for its members? To tell us more about the good work your association is doing, email cabinliving@aimmedia.com. Please include two or three high-resolution photos of the region you serve. 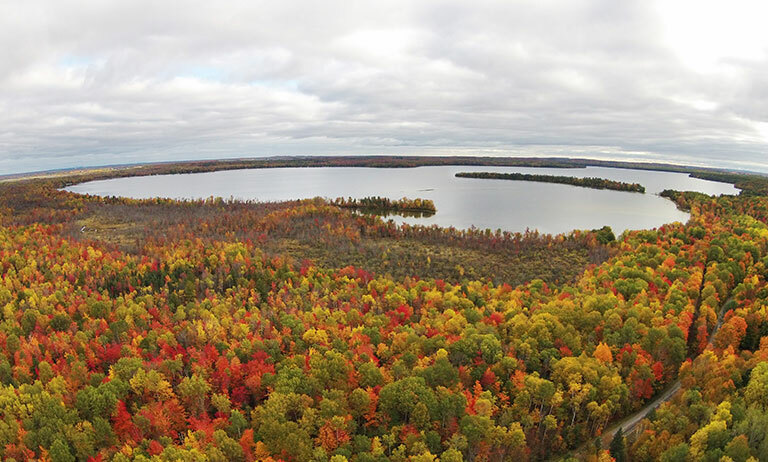 AREA SERVED: Douglas Lake is in northern Michigan, 13 miles south of the Mackinac Bridge. The lake is 4 miles wide by 2 miles long, with an average depth of 30 feet. And it’s special because the University of Michigan Biological Station (UMBS) owns more than one third of the shoreline. UMBS has done long-term research in the area and on their 10,000-acre property for more than 100 years. The remaining lakeshore has about 260 homes and cottages; about 20% are year-round residents. MEMBERSHIP: 346 members, 70 volunteers. FUN FACT: Many families have deep historic roots arriving to this lumber area by train and coach to spend their summers along the shores of this and other area lakes. The stories of many original Douglas Lake residents are preserved in a booklet. A couple loons testing the platform or playing on it before nesting season starts. MISSION: To preserve, protect and improve the quality of Douglas Lake and its environs and the quality of life of its residential community. They are active and involved in several area environmental organizations whose goals are to protect and preserve the quality of the water and shorelines. They participate in the Clean Boats - Clean Waters initiative, support surveys to identify invasive aquatic and land species and participate in their control. There are 16 zone representatives who are responsible for monitoring and communicating the needs of their neighborhood; each zone has about 22 members (often including relatives of the cottage owner). n Members work on behalf of the township to maintain the public boat ramp. A boat assist team is available to provide aid in case of engine problems on the lake. 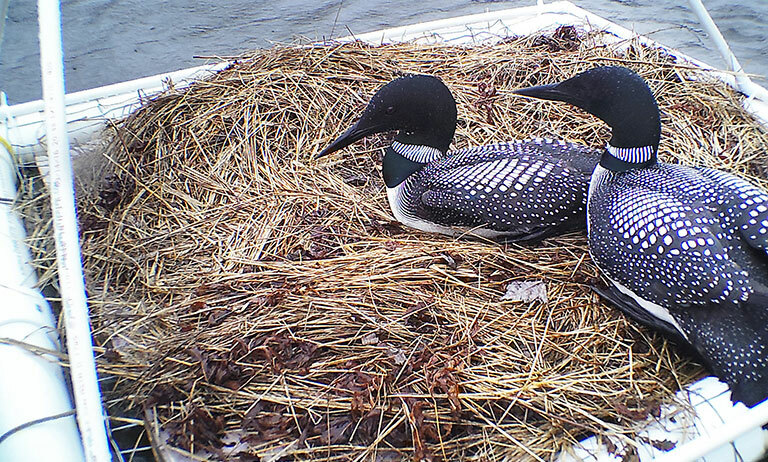 It provides nesting platforms for loon preservation by its “Loon Rangers.” This year one platform is equipped with a new, high-tech camera that is activated by a combination of motion and heat producing awesome pictures of the loons! Members and visitors alike look forward to a beautiful annual calendar that features members’ photographs. Created by a member, the calendar is sold at five summer Douglas Lake merchandise sales. The Association averages about $2,600 profit from the sales of calendars, insignia apparel and gift items each summer. AFFILIATIONS: Local businesses support the Association by advertising in the biennial membership directory. n The UMBS Stewards group trims trails on the UMBS property. n The Association helps with Michigan road beautification through the MDOT Adopt-A-Hwy program. An aerial view of the lake from my drone. The island is Pell's Island and does have houses on it. A couple loons testing the platform or playing on it before nesting season starts. 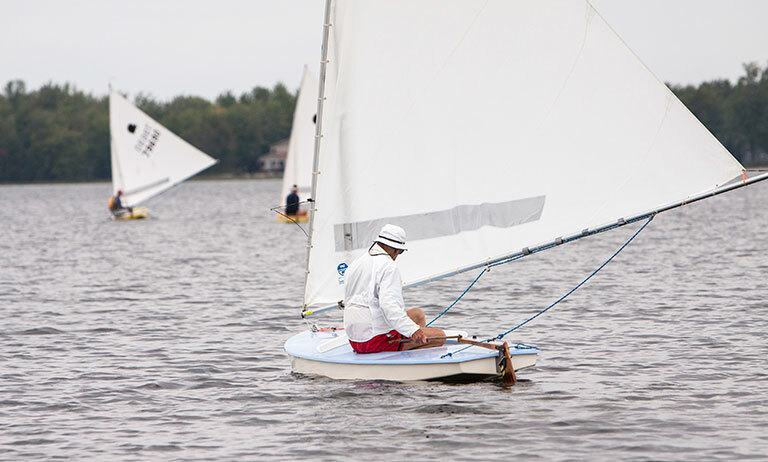 Otto Busard at a Sunfish race on a not so windy day. 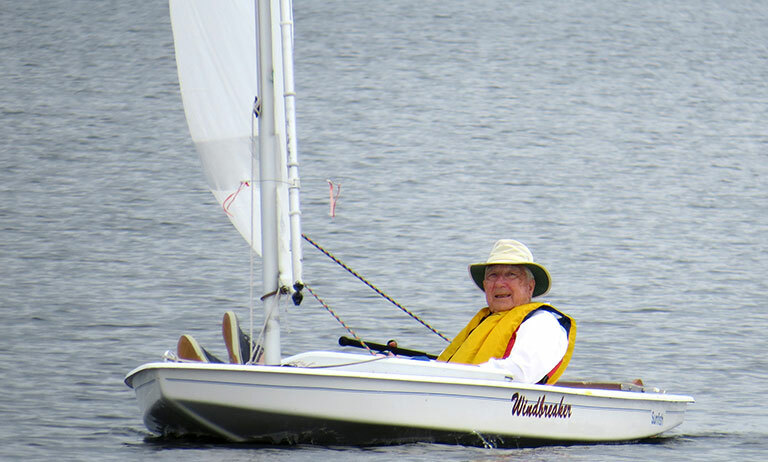 Otto has been sailing for years and is now 90 years old. Jay Butler who organizes the races. 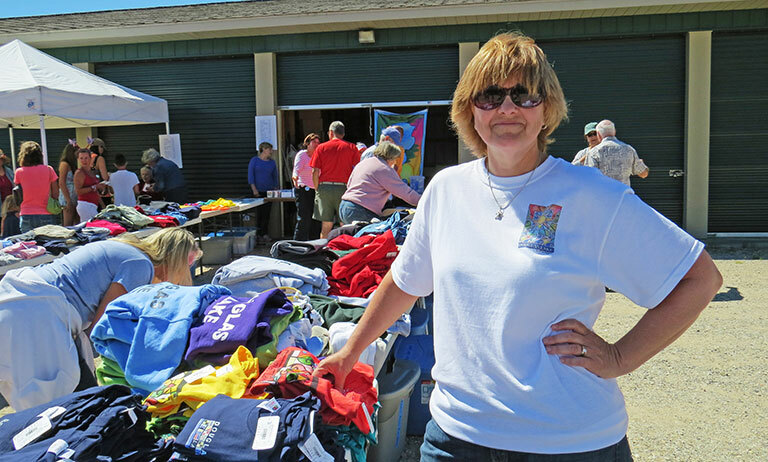 Anne Covy working at one of our summer merchandise sales.